I was met by Hugh McCully, VE3AYR and Gabor Horvath, VE7JH, who were just starting with the shift as well, and Cassandra headed out, bound for Belgium. I wish I could show more pictures of the operating site here, but there are strict restrictions on taking and posting any photos which could identify buildings and landmarks (with the obvious exception of the historical monuments and the like). Security around Vimy Ridge is getting really, REALLY tight, and it will be insane on the actual commemorative date (April 9) when all the dignitaries will be here, along with 25000 spectators. 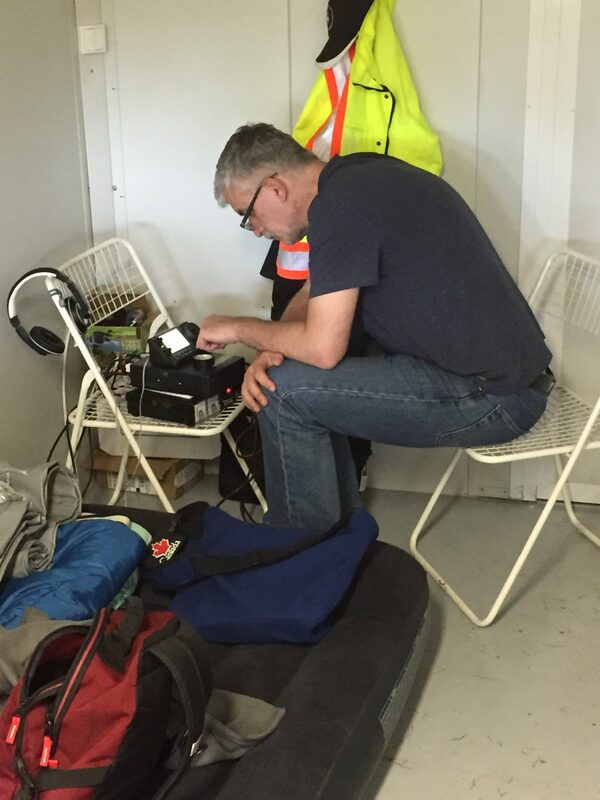 Band conditions were pretty much terrible today, but we managed to make some QSOs. 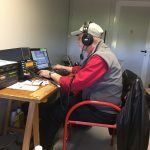 I spent my time split between phone and RTTY on 40m, 20m and 17m. 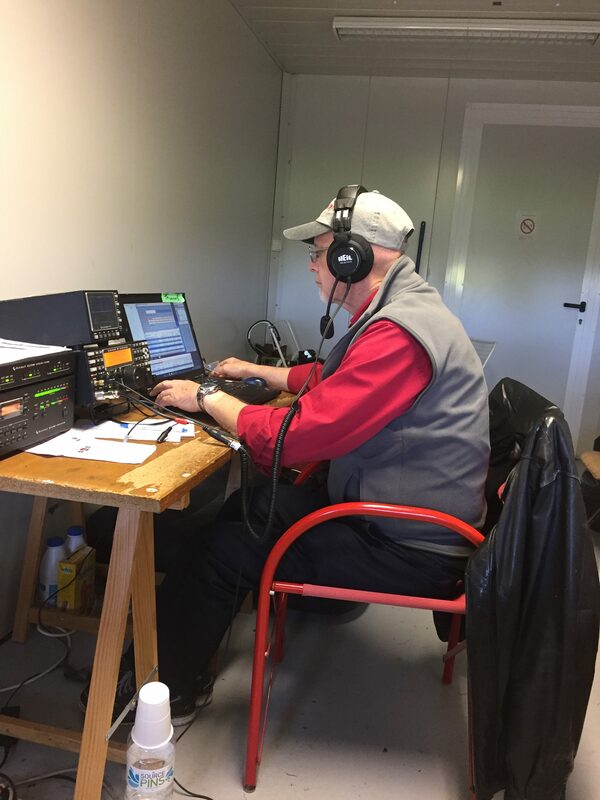 I’ve spoken to a lot of UK, French, German and Russian stations, with a few Japanese, and a ZL1 on the long path. However, against the odds, I managed to make contact with 2 VO1 stations on 17m phone this afternoon. 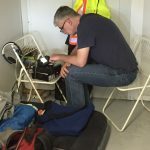 I was wondering if I’d be able to contact a Canadian station – my shifts were 7:30AM – 3:30PM CET (0530z – 1330z), or 1:30AM – 9:30AM EDT, so the operators at the other end would have to be real night owls, so I was happy to hear voices from the Rock. When operating phone, I’ve received many thanks for the station, and for what it represents. 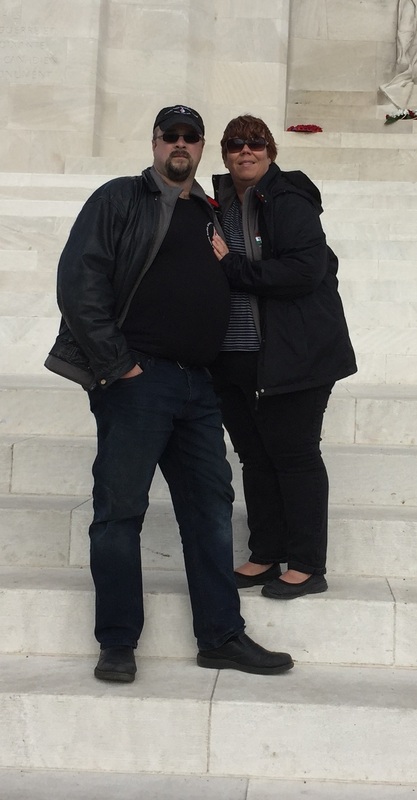 I touched on this yesterday, but Cass and I had an encounter yesterday that reinforces just how much Canada is appreciated, almost revered here – We went to a restaurant called Au Bureau Liévin. It’s a local restaurant made to look and feel like a British pub. On a sign to the left of the doorway was written “Vive le Canada.” When we walked into the restaurant, the host greeted us (in French, obviously) and Cassandra tried to keep up with him, but she must’ve gotten that glass-eyed look on her face that says “You’re talking too fast!” and he stopped, looked at the poppies on our respective jackets and almost shouted “You’re Canadians! 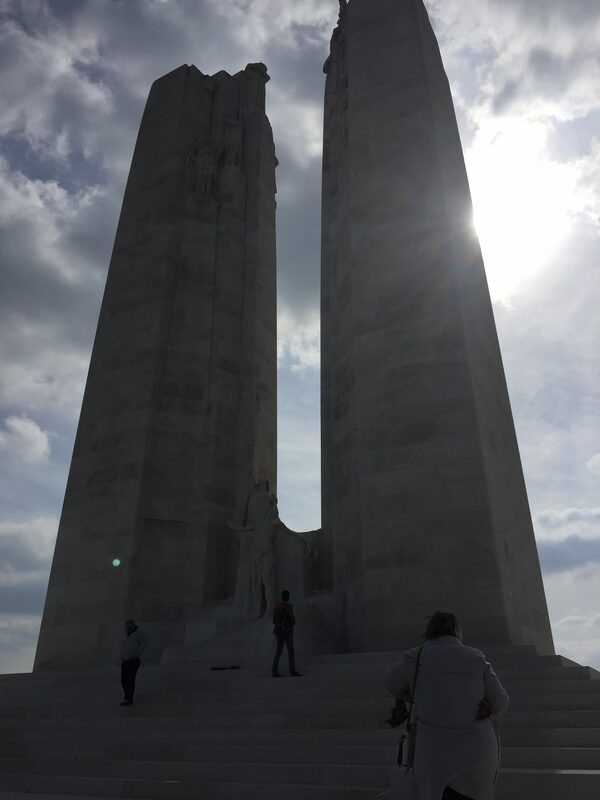 We love Canadians!” and proceeded to tell us how his father took him to Vimy Ridge and explained how important our contribution to the was was. It is impossible to avoid feeling a little swell of pride with the number of flags flying, and the number of people visiting our memorials (not just Vimy – there are dozens of war cemeteries and monuments scattered about the landscape), especially once they realized what our contributions to the war meant. 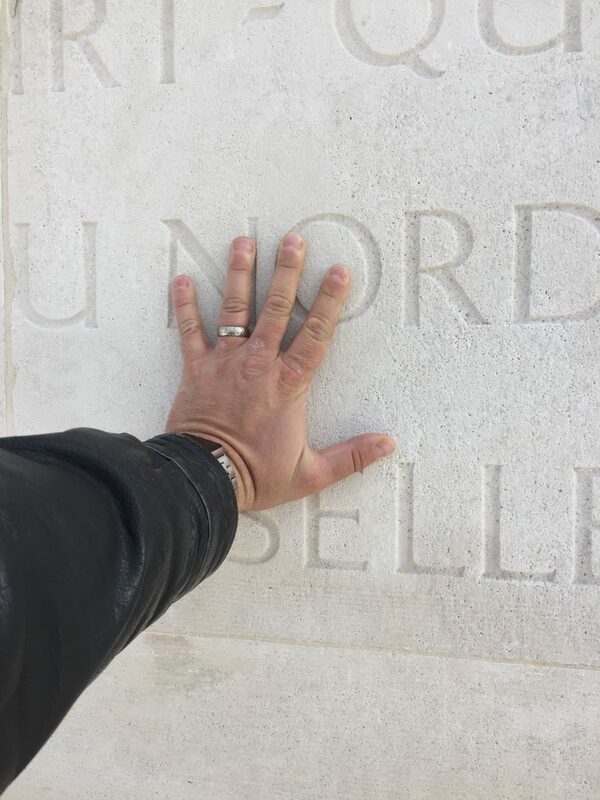 It was an amazing experience, and I am grateful to the Vimy Commemorative Station Society for the opportunity to be involved in their operation, and that it gave me a reason to come and see such an important part of Canada’s history and heritage.